Retired teacher Augusta Weidenmaier notices an ill matched pair on a bus, aneatly dressed boy and a scruffy man. The boy, star of commercials, is said to have beenkidnapped. Augusta decides she must act and attempts to tell the detective in charge of the case, Lieutenant Brown who makes it plain he does not want her help. He tells her to stay out of his case. And that is just what August does not want to hear. So she begins her own investigation and winds up in a situation that could turn out badly when she meets the villain in the case. Written in clear, easy to read language, this is a tale I’m pleased to recommend to any fan of the cozy mystery. 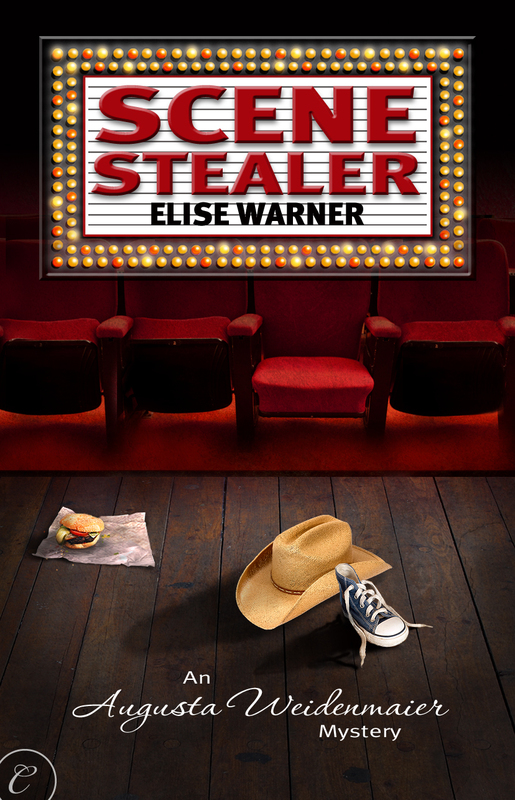 Talented Elise Warner has crafted a tale that blends Agatha Christie with hints of radio’s Mr. and Mrs. North, a pleasing combination for any reader who enjoys a fun read and meeting new amateur sleuths. You’ll be glad you read it. This entry was posted on July 5, 2010 at 6:53 pm and is filed under authors, New Yorkers, Uncategorized, writers. You can follow any responses to this entry through the RSS 2.0 feed. You can leave a response, or trackback from your own site.